Peter Britt #4 | Historic Jacksonville, Inc.
Here’s one final story about pioneer photographer Peter Britt’s home on South 1st Street in Jacksonville before we move on. What started as a plain one-story building in the mid 1850s was transformed a few years later into an early version of Victorian Cottage Gothic architecture by the addition of decorative “gingerbread” trim. By the mid 1860s, Britt added a second story, gaining more living space and moving his photography studio upstairs. When Nunan Square was being developed, one of the property owners chose this version of Britt’s house as the model for his own home. 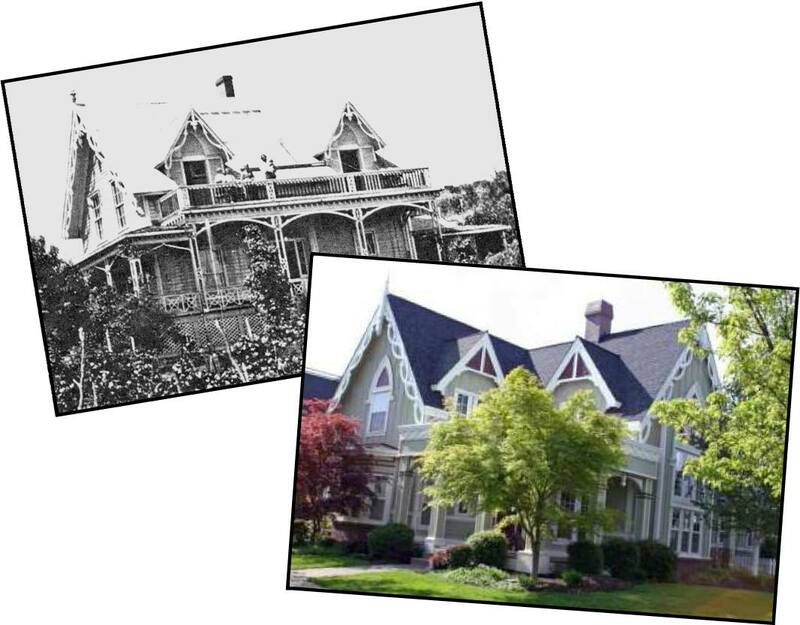 You can see the “then and now” versions in today’s History Trivia photos.